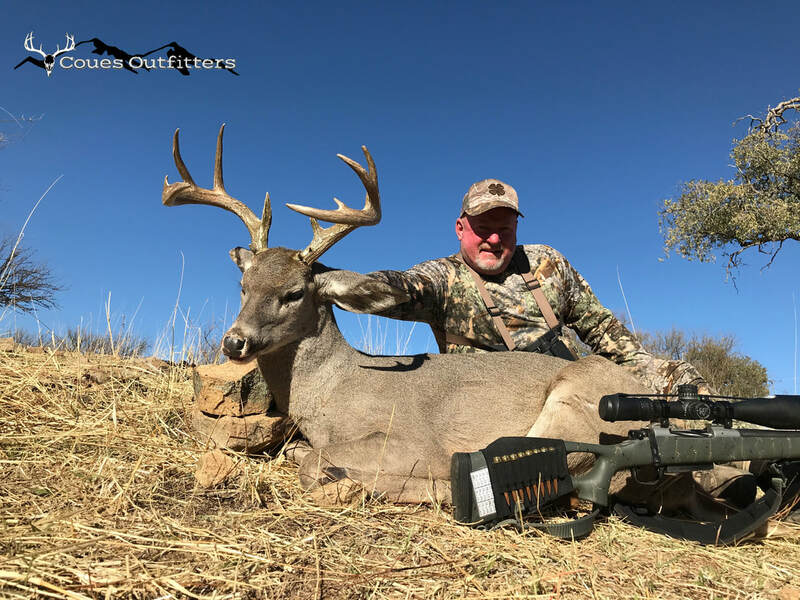 Coues Outfitters provides fully guided or semi-guided whitetail hunts in Sonora, Mexico both in December and January during the rut. The ranches that we manage are located near Banamichi, Sonora, an easy 4.5 hour drive from the border. The ranches are between 30 and 50 square miles in area. We limit the number of deer hunters on each ranch to no more than 12 each year and we never hunt more than 6 hunters at one time. Whitetail hunts are 5 days and 6 nights in duration. In addition to rifle hunts we routinely accommodate archery hunters utilizing ground blinds that we stage prior to your arrival. Horses are also available for those wishing to hunt by horseback. Unlimited varmint hunting for coyote, grey fox, and bobcat is also available at no additional cost. Rustic ranch house accommodations are provided with beds, bathroom, and a hot shower. Meals are traditional Mexican with lots of fresh made tortillas. Our staff will obtain your hunting licenses, tags, gun permits and US Customs & US Fish and Wildlife documentation to import your trophies back to the States. While hunting on the ranch we utilize and maintain off road vehicles including four-wheel drive trucks and side by sides. Hunters may take unlimited coyotes and bobcats and no additional charge. Javelina permits are available for a small fee. Our ranches hold a lot of Coues whitetail deer, so we look forward to showing you the country they live in and the various behaviors they exhibit leading up to and into the rut. Whether you are a first time Coues hunter or holding out for a true giant, we look forward to putting together a custom hunt experience you are sure to enjoy! We also have unguided whitetail hunts for the more experienced hunter. A ranch representative will meet you at the Nogales border with your hunting license, tag and gun permit. You will be provided access to the ranch house but the hunter will be responsible for their own meals and transportation on the ranch. This arrangement provides nearly unlimited ranch access during the entire hunting season. 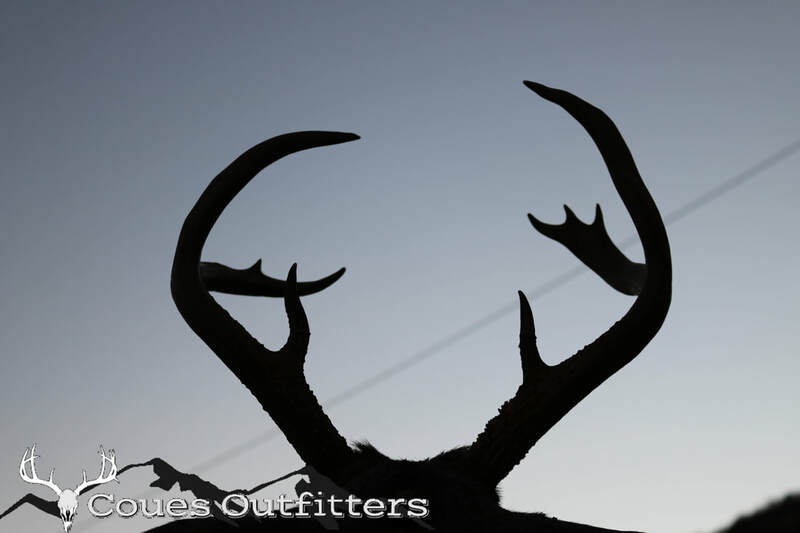 Looking for an opportunity to hunt Coues in Arizona? We offer a limited number of hunts there each year, including an incredible opportunity to hunt Coues during the over-the-counter archery season. Check out our Arizona Archery Deer page for more details.